We take a close look at Hero MotoCorp's latest 125 cc scooter, the Hero Destini 125. Hero MotoCorp has just launched its first 125 cc scooter, the new Hero Destini 125. 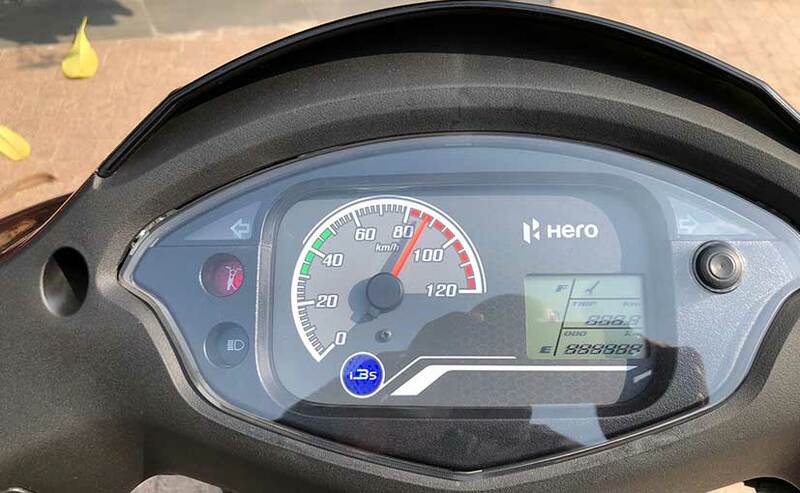 Hero has been one late to join the rapidly growing 125 cc scooter segment in India, and with the launch of the new Destini 125, Hero expects to grab a share of this scooter segment which is led by the Suzuki Access 125, followed by the Honda Activa 125. In fact, Hero has been last to join the 125 cc scooter segment, which already has several competent rivals at different price points. Suzuki has both the Access 125 and the Burgman Street 125, Honda Motorcycle and Scooter India (HMSI) has the Activa 125 and the Grazia, while TVS Motor Company has the very competent, but slightly expensive TVS NTorq 125. Here's all you need to know about the new Hero Destini 125. 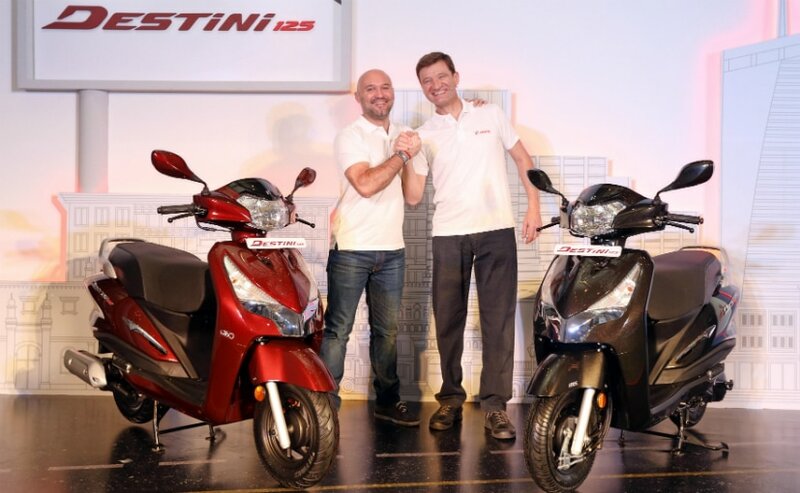 The Hero Destini 125 is an all-new 125 cc scooter from Hero MotoCorp and has been completely developed in-house at Hero MotoCorp's Centre of Innovation and Technology (CIT) in Jaipur. 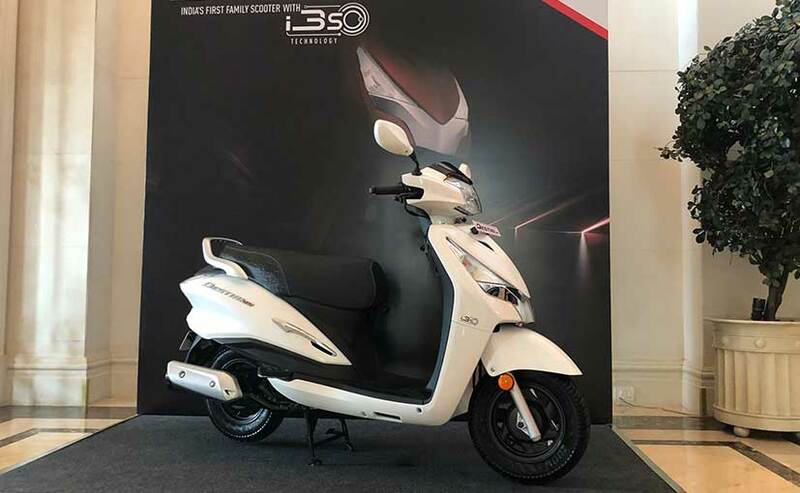 The Destini 125 was showcased as the Hero Duet 125 concept at the Auto Expo 2018, and the production model has a similar silhouette as the Duet, but every panel is designed differently; even the part-digital, part analogue speedometer is all-new. 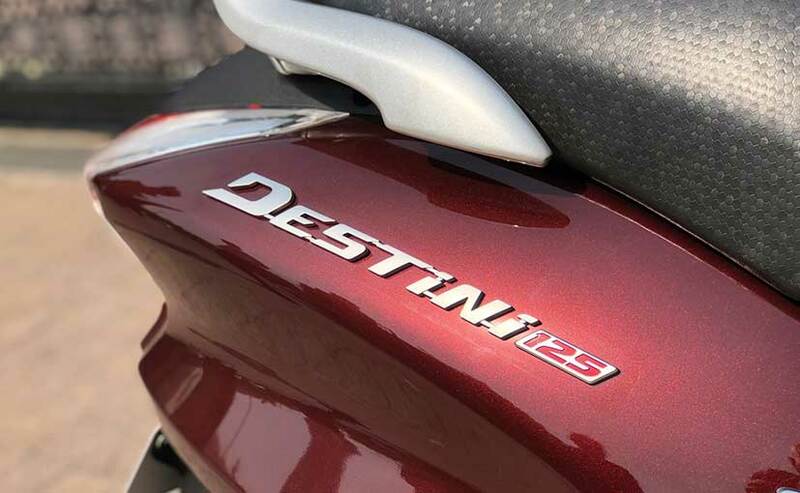 The Destini 125's engine is an all-new 125 cc, single-cylinder, air-cooled motor which puts out 8.7 bhp of power at 6750 rpm, and 10.2 Nm of peak torque at 5000 rpm. Hero officials say the engine has been tuned to offer better torque in low revs to make the scooter more responsive in day-to-day traffic use. The Hero Destini 125 boasts of being the first scooter in India to feature the idle start-stop system. 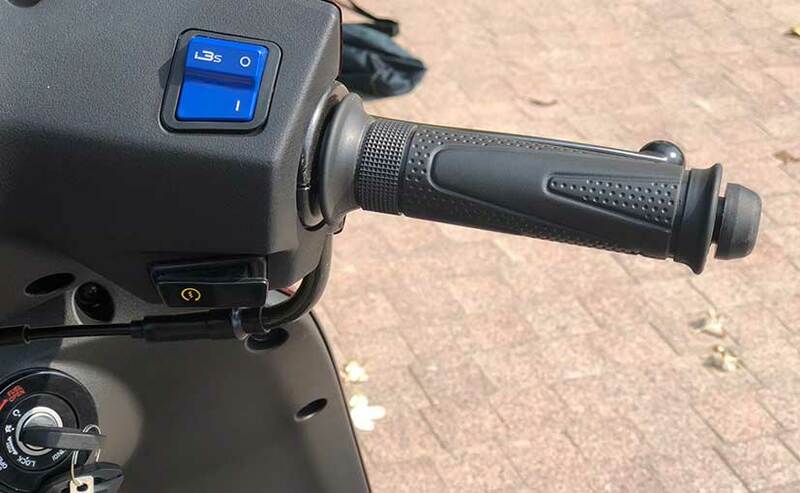 Hero calls this the i3S system, which essentially shuts off the engine when the scooter is halted for 30 seconds, for example, in a stop light. Just a pull of the brake restarts the engine and it's said to help conserve fuel in everyday traffic conditions. Hero claims a real-world fuel efficiency figure of 51 kmpl from the Destini 125. Features-wise, the Destini 125 has no earth-shattering features which could be called segment-first, apart from the i3S system. The Destini 125 runs on 10-inch wheels, shod with tubeless tyres. While the VX variant has cast alloy wheels, the LX variant has steel wheels. Braking is handled by drum brakes at both ends, but an integrated braking system is standard, owing to new regulations, more than a standard safety feature. The ignition key is a multi-functional, so it can be used for the steering lock, remote boot release as well as external fuel lid opening. The VX variant also features a boot light, mobile charging socket, additional chrome garnishes on the body, as well as a dual-tone seat colour. Prices for the Hero Destini 125 start at ₹ 54,650 (ex-showroom Delhi) for the LX variant, while the VX variant costs ₹ 57,500 (ex-showroom Delhi). 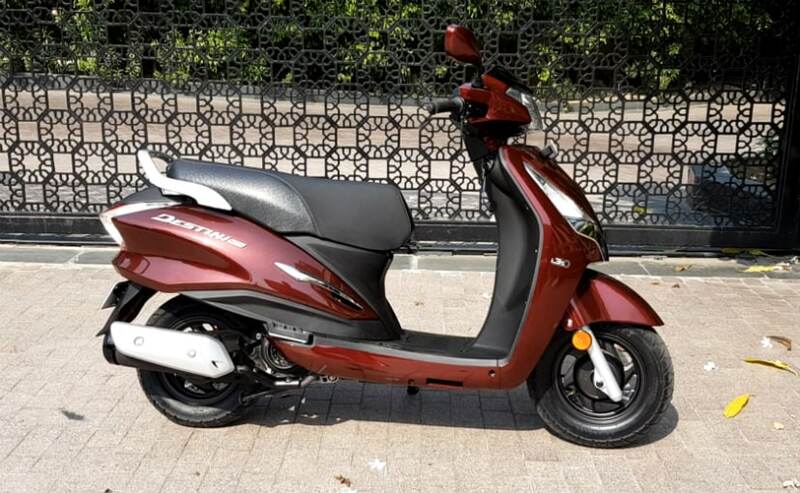 At those prices, the Destini 125 is the most affordable 125 cc scooter available on sale right now. The nearest rival in terms of price is the Suzuki Access 125, priced at ₹ 55,606 (ex-showroom Delhi) for the base drum brake variant. Where the Destini 125 also has an advantage is in Hero MotoCorp's vast sales and service network across the country, as well as easy availability of spares.